A lot of hype was created when the first ever Smartphone was launched but sadly it didn’t turn out to be a great bread bearer for the tech companies. But it just takes a launch to turn things around and standing to the proverb, Spice has at least tried to give it a try to turn the curtains around. Hitting the Indian market hard with their phenomenal price, Smart Pulse M9010 smartwatch will surely change the way Smart Watches are seen by today’s generation. The market is already flooded with Samsung Gear 2, LG G Watch, Moto 360 but Spice has proved to be nothing less than a revelation. At just 4,999 INR (3,999 INR on HomeShop 18); it is packed with some super cool features. At some point of our life, all of us would have thought of having a James Bond type of Smartwatch but none of us ever got a chance to really own one. Well, here is your chance to grab one; Smart Pulse M9010 gives you a chance to use four SIM cards at once. 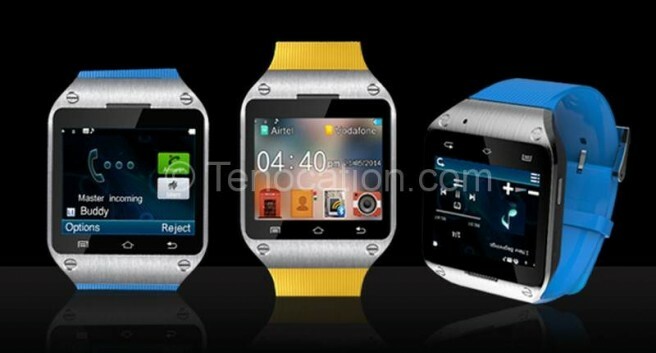 The watch is open to two sim cards while two other numbers can be mingled with any android phone. A handy feature of sending and receiving messages has been put into M9010. Though the screen size is pretty small, but it’s an add-on nevertheless. Wow! Who would have thought of browsing web on a smartwatch? It won’t come in as a surprise if even Watsapp will also be available with this category of technology. Why to plug in your earphones on your Smartphone when you have Smart Pulse M9010 in hand. Yes, you guessed it right; music can be listened and videos can be played on this device which will never prove to be a hassle again. Earlier people used to bring their smartwatches close to their ears to respond to any phone call. Spice very well-recognized this problem and came up with a Bluetooth headset which will at least look authentic while responding to a phone call. Spice has done very well to put every feature in the device which makes it a hot buy. Even one can click a picture from this watch, cool na? Spice has certainly tried to merge every feature that will lure customers for sure. Certainly, the device is high in terms of specs and box accessories but will it be able to pour in some good consumer base for itself remains a question. Seeing its low price and some great specifications, this will certainly challenge others in the race.